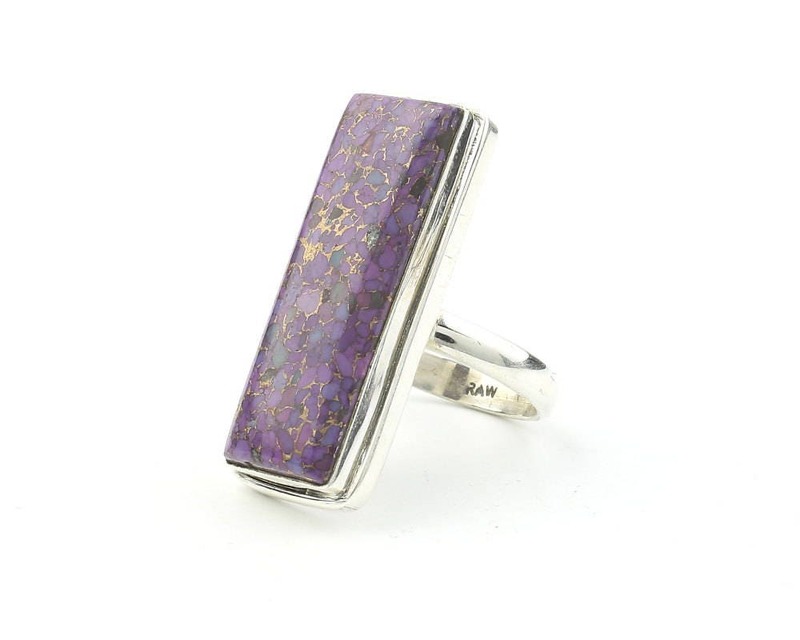 Simple sterling silver setting allows the stone to shine. Long thin design looks lovely on the finger. 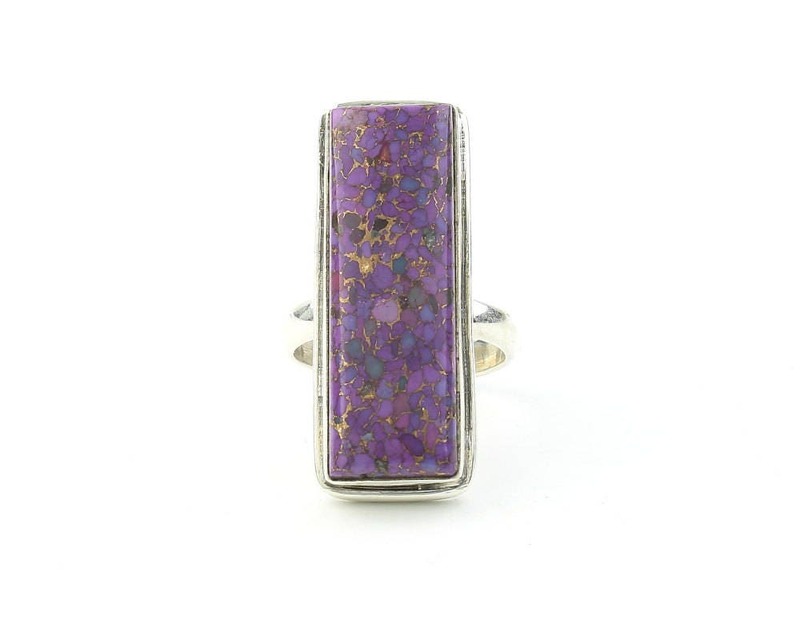 Gemstone is Purple Copper Turquoise. Stunning ring. So much prettier in person. WOW. Thanks for the quick shipment. Love the ring, nice quality, as described. Will visit seller again.